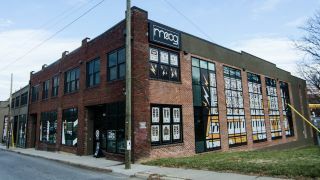 Is Moog about to embrace the Eurorack format? It's no secret that the market for Eurorack-format modular gear is growing, and it looks like it's going to get another shot in the arm next month with the launch of the Moog Mother32. Synthtopia reports that this was on show at Knobcon 2015, and is a basic analogue synth voice that comes in its own case but can also be mounted in a Eurorack system. We don't have any photos or specs, but the word is that this will be a single-VCO voice that comes with 32 audio and control voltage patch points and a built-in step sequencer. The rumours are that the Mother32 will cost $599 so, following the release of the Werkstatt-Ø1 synth kit, it could represent another semi-affordable but more flexible way of getting that 'Moog sound'. More details as we get them.